Is roof rack legal in Singapore? 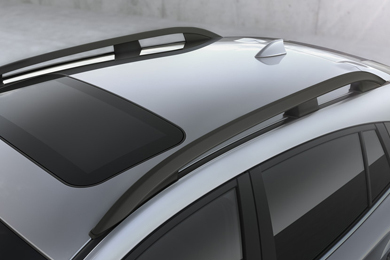 Roof racks should not protrude from the vehicle body laterally or longitudinally. 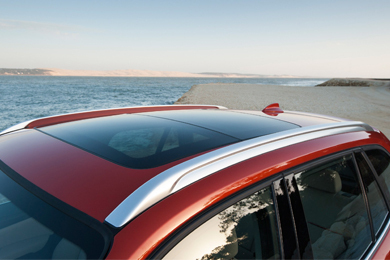 The cargo and its carrier on the roof rack should not exceed the loading capacity of the vehicle or the roof rack. The cargo should be securely fastened to the roof rack and no part of the cargo or its carrier should protrude laterally beyond the vehicle. 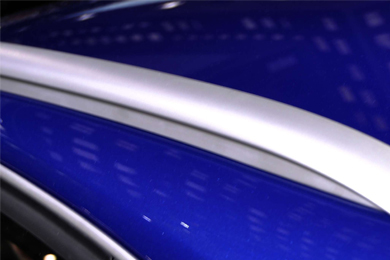 ✓ For more info please visit LTA website on vehicle modifications. 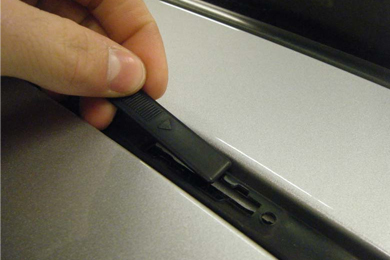 ✓ A "Fixed Point" is a designated attachment point in the car roof for attaching roof racking. There will usually be 4 of them and they are usually hidden away under a small plastic cover or cap on the roof. 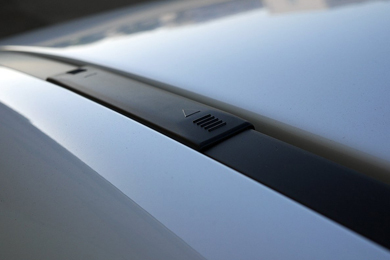 Beneath the cover or cap is a threaded hole or attachment point that is integrated into the structure of the car roof. What is Normal Roof (Bare Roof)? ✓ The most common roof type nowadays is the normal roof (bare roof). These are the vehicles without roof rails or "fix point". 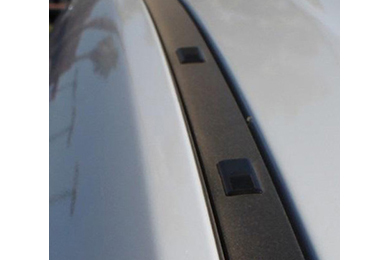 ✓ Please do not mistaken the plastic/rubber strips (usually black in colour) that run front-to-back on the car roof as mounting points whereby roof rack can be attached to. 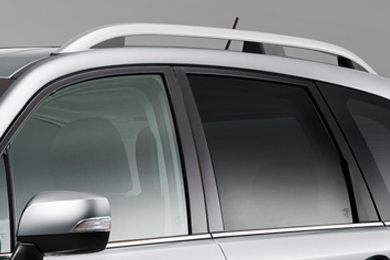 ✓ Roof rails are a common sight on modern vehicles such as SUVs and mini-vans. Roof rails run along the length of the vehicle's roof, there is one on each side. 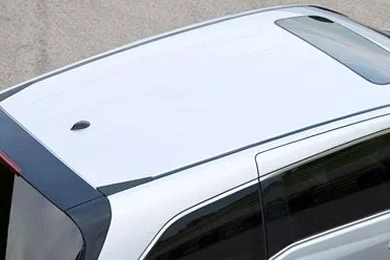 Their purpose is to provide an attachment point for roof racking and other devices designed to secure loads carried on the roof of the vehicle. 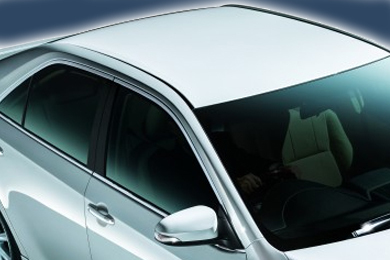 Roof rails are fitted by the car manufacturer and are often supplied as an option or come as standard equipment on some models. ✓ There are 2 type of roof rails: Raised Roof Rails and Flush Roof Rails. What are Raised Roof Rails? 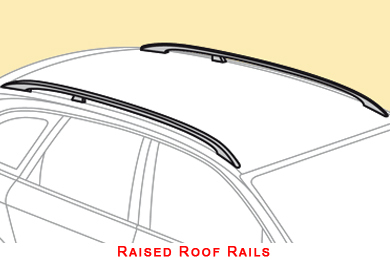 ✓ They’re known as ‘raised’ roof rails as they are raised up from the car roof with a clear gap between the roof and the rail. The standard test is you can wrap your hand all the way around the rail, if your hand were big enough. 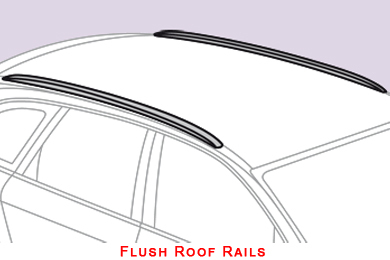 What are Flush Roof Rails? 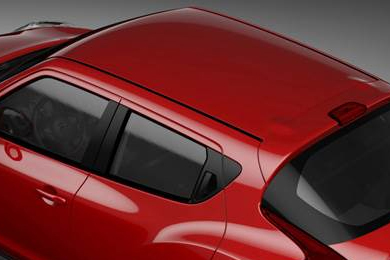 ✓ They’re known as ‘flush’ roof rails as there is no gap between the bottom of the rail and the roof of the car. The standard test is you cannot wrap your hand around the rail because there is no room under it. 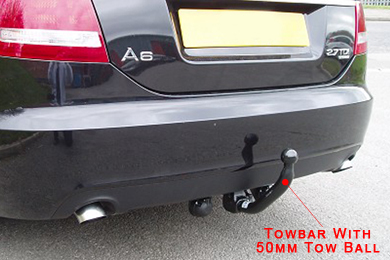 What is a towbar? Is it legal in Singapore? ✓ Towbar is a bar fitted to the back of a vehicle, used in towing a trailer or caravan. 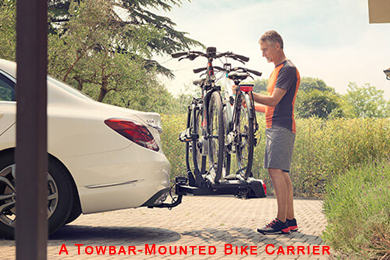 ✓ A towbar-mounted bicycle carrier, such as the THULE EasyFold XT, may also be attached to the towbar (with a 50mm tow ball). 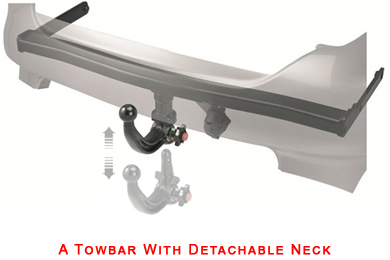 ✓ We would recommend a towbar with detachable or retractable neck. When not in use the neck can be removed and towbar stays invisible on most vehicles. ✓ PLEASE KINDLY CONSULT LTA (Land Transport Authority) REGARDING THE ADDING OF A TOWBAR TO YOUR VEHICLE. 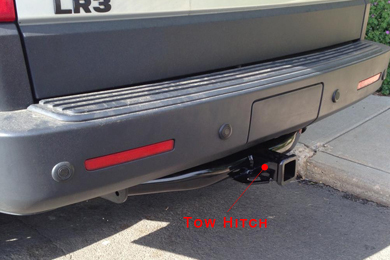 What is a tow hitch? Is it legal in Singapore? 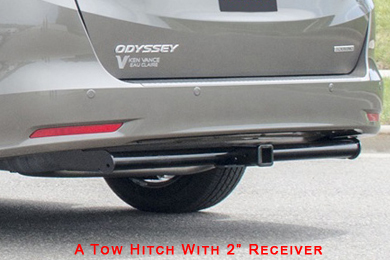 ✓ Tow hitch is a bar fitted to the back of a vehicle, used in towing a trailer or caravan. 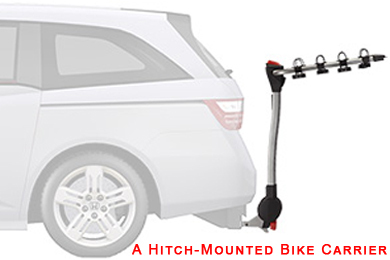 ✓ A hitch-mounted bicycle carrier, such as the YAKIMA RidgeBack and LiteRider, may also be attached to the tow hitch. ✓ You may get a tow hitch with a 1.25" or 2" receiver since our hitch-mouned bike carriers are compatible with both sizes. ✓ PLEASE KINDLY CONSULT LTA (Land Transport Authority) REGARDING THE ADDING OF A TOW HITCH TO YOUR VEHICLE.